If you want to be ahead of the curve in your e-commerce game today, your Facebook store page should connect and sell! Read the article to figure out how you can grow your sales through a Shopify-power. This is a question that e-commerce adepts have been asking themselves ever since Shopify released their Shopify Facebook Store app. Gone are the days when simply being present on Facebook was giving a brand significant selling advantage. 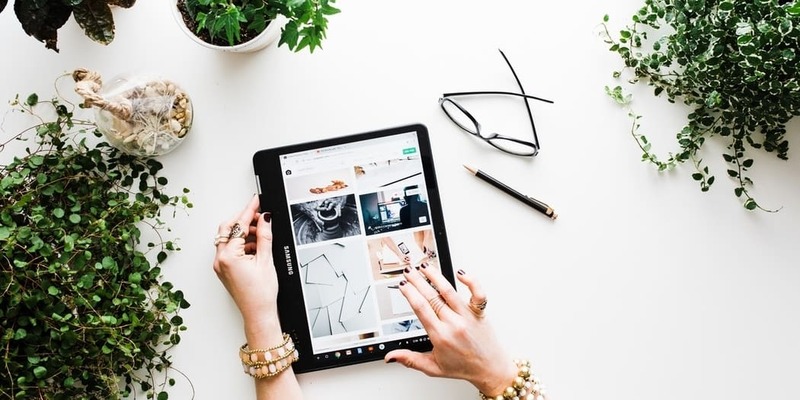 If you want to be ahead of the curve in your e-commerce game today, your Facebook store page should connect and sell! Period. We want on a mission to figure out how you can grow your sales through a Shopify-powered Facebook store. If you are looking for these questions to be answered, you are in the right place. Keep reading! Is Shopify Facebook store a good idea? Just imagine, one morning you pour yourself a bowl of cereal and find out that there is no milk left in the fridge. You have two options: drive across the city to buy milk from your favorite supermarket or go to a convenient shop right in your building and purchase milk from there. What would you do? Most of us would make a quick run to a little store downstairs and get milk from there. Simply because it’s easier and you spend less time. Well, Shopify powered Facebook store is the e-commerce equivalent of that downstairs shop in your building. The Facebook Shopify duo makes buying things online easier. But the best part is, your FB-loving customers don’t even need to go anywhere to purchase goodies from you! Buyers can do their shopping where they already hang out – on the Facebook. The process is a piece of cake. All your customers need to do is to select one of the products from a Facebook store, click on it and then the system will automatically bring them to a Shopify checkout page. However, the biggest perk of marrying your FB and Shopify together, is that all of the products details, prices and product descriptions will automatically sync between these two platforms. One less thing to worry about. Selling via Facebook also makes a whole shopping process more engaging and social. You see, a huge chunk of shoppers uses Facebook as a source of wisdom when it comes to guiding their purchases. Not only do they view a product, but they can also like it, share it with their friends, comment and ask questions under the listing. I guess you can treat a Facebook Store as a word of mouth generator. And, no, I will not even start pontificating about the power of word of mouth, because we all know how powerful it is! By building trust with your buyers, you get yourself a bunch of loyal brand ambassadors. Don’t blow this opportunity. Here is what we think about having a Shopify store on Facebook. Overlooking 2.13 billion active monthly Facebook users would be a waste. 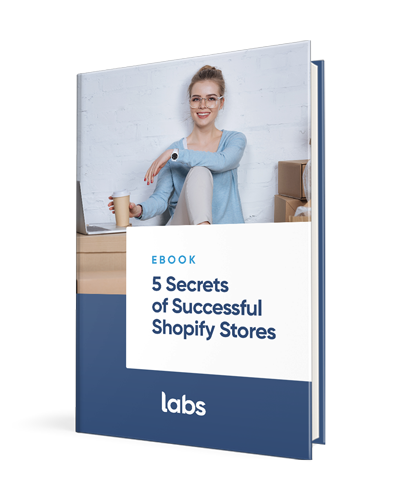 If you come to e-commerce to stay, you simply can’t ignore the opportunity to turn browsers into buyers through a Shopify-powered Facebook Store. However, we would still do not recommend to focus 100% of your efforts on a Facebook Store. After all, these stores are built on a “borrowed land,” which Facebook platform is. You will always depend on Facebook algorithms and policies changes, and you will never have complete control over a customer base. Balancing between a fully integrated Shopify Facebook store and your original shop is what would make you win in the long term. Here is the recipe of successful Shopify powered Facebook Store. Take one existing Shopify store, add a Facebook Business page, mix them in a bowl together and bake until conversion. Yes, simple like this. Well, maybe not that simple, but as long as you have a Facebook business page and a Shopify store you can integrate them together. What would be your first step? Before you start your quest to a successful Facebook store, make sure that your account is passing the eligibility requirements. For example, make sure you only use currencies that Facebook supports. Also, you will need to provide valid contact information for your customers to reach you. Once you’re done with prep work, you can add a shop section to your Facebook business page, so your Shopify goodies can be displayed there. After you’ve added this widget to the FB business page, it’s time to marry your Shopify and Facebook accounts together, so they can convert happily ever after. As advanced as this process sounds, integration takes only a few short minutes. The easiest way to connect two existing accounts is through Shopify Facebook app. The app itself is free. However, you’ll need to have a minimum package of $9 Shopify Lite to be able to take advantage of the app. Give it a try, it will be the best $9 you’ve to spend on your business. The next step would be adding the products to a Facebook Shopify store. It also is a piece of cake, and you can do it with one click, don’t expect that your products will show up on the Facebook page momentarily. It’s only after the products get approved by Facebook they will appear on your FB Store Page. According to the developer, this process can take up to 48 hours. But don’t worry, this is a one of a time thing. Once everything is approved, the system will automatically sync two accounts. That means that product details, models and inventory details will automatically update on Facebook once they are updated in your Shopify store. Once your Facebook store is opened for business, make sure to optimize it. The biggest pain of Facebook store owners would image optimization. Not only do your images should look sellable, but they also have to fit Facebook’s formatting. If you don’t want your precious products pictures to get cut off in Facebook Store, make sure to stick to a square format in 1024 x 1024 resolution. Now that your Facebook Store is up and running, it’s time to take care of building engagement and creating hype around your product. The more shares, comments and click your products get, the better are your chances to convert. But that’s the whole different story. That’s about it about setting up your Facebook Shopify store. While being relatively inexpensive and straightforward solution, it can boost your conversion game a lot. What started as a simple messaging app back in 2011, turned into a huge e-commerce platform. Yes, dear Facebook Messenger, we are talking about you here. Ignoring over 1.3 billion active Messenger users would mean ignoring considerable opportunities to boost your conversion rates! And you don’t want to lose the chance to move your customers through the sales funnel, do you? The good news is, Shopify makes tapping into this hot e-commerce trend easier! Your Shopify buyers can chat with you in real time and buy products without even leaving the messenger! Very convenient! Dear Messenger, thank you for revolutionizing an online shopping world! Besides, as much as your customers love online shopping, human interaction is still the ultimate trust winner, when it comes to spending money. With Shopify and Messenger duo, you can put a face to your brand to build a strong connection with the audience. Just think about it, you can be there for your customer when they are deciding on a purchase. You can answer their questions, and you can resolve their concerns. You can hold their hand through the entire purchasing process in real time! It does not mean though that you have to be a slave of your Facebook store 24/7. Simple chatbot can handle most of the common inquiries. Besides, these robots never get tired or need a vacation, so they can follow your instructions even when you are away from the computer. What does the process look on your customer’s end? It is simpler than you think and it’s done in 4 easy-peasy steps! Step one – your precious client start a Messenger conversation with you. Step two – they fall in love with one of your products. Step three – they click on the product, and the system brings them to a Shopify checkout page. That’s it! Integrating these two fellows together is not a rocket science, and it shouldn’t take more than few minutes. To start turning chats into sales with this duo, you simply need to add a Messenger channel into Shopify. Then you pick the products you want to share with customers through Messenger, and your buyers will be able to see them right away! Facebook and Shopify – you can’t ignore these names if you play a long-term e-commerce game. By marrying Shopify and Facebook together, you make it possible for your customers to shop without even leaving Facebook! How cool is this? And while your customer shops you can rest assured that all of the products details and inventory will automatically sync with your Shopify store. If you want to step-up your online-selling game and personalize the shopping experience for your buyers, try selling through Messenger. You wouldn’t believe an impact this duo can have on your sales! That’s all folks! We hope, we made you fall in love with the idea of growing sales through Shopify Facebook store! What’s your next step? Do you plan to rock the e-commerce world by opening a Shopify Facebook Store? Let us know in the comments down below!